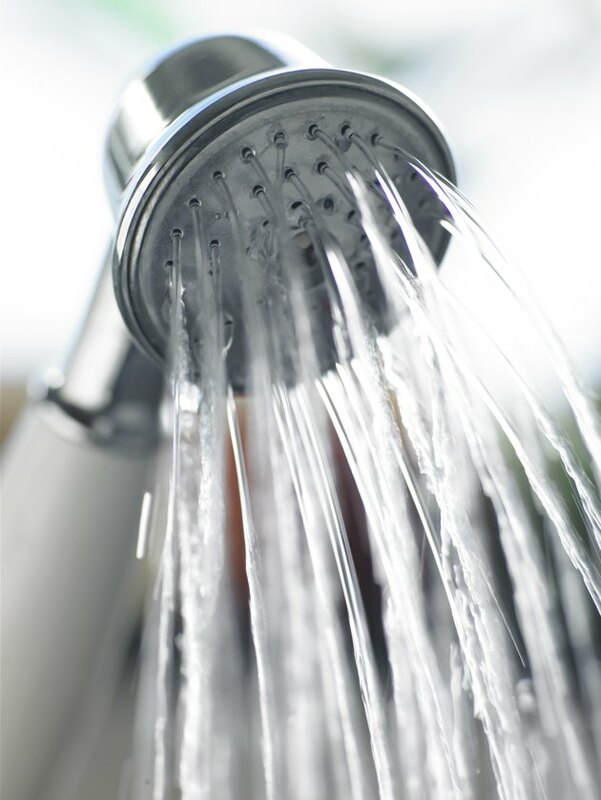 Bathrooms experience moist and humid conditions on a regular basis. Often, these areas are not ventilated as they should be, given the constant buildup of moisture in the air from running water from showers, baths and faucets. Homeowners have a number of repair options when considering what to do about ceiling cracks above the shower and in other areas of the bathroom. Constant moisture in shower areas can contribute to cracking. problems. Cracks can develop in ceilings due to a number of conditions. Normal settling of homes, for example, can produce cracks in ceilings in any area, but bathrooms are particularly susceptible to ceiling cracks, because the constant presence of moisture can soften drywall around plumbing fixtures and components. Weight loads above the bathroom shower area can increase this tendency to crack. When homeowners notice cracks in the ceiling of the shower, they should inspect water connections carefully to ensure that leaking pipes aren't contributing to the problem. Repair any small plumbing issues or call a plumbing contractor to prevent further damage. Small or hairline cracks in drywall are easily repaired with drywall compound and high-quality, mildew-resistant primer and paint. Remove any flaking or chipping of paint with a scraper, then carefully fill the crack with drywall compound, smoothing the area to the level of the surrounding ceiling. Allow the compound to dry for two to three hours. Sand with 100-grit paper to make it as level as possible. Then, coat the repaired area with the primer and allow it to dry. Finally, paint the area with a ceiling topcoat and allow it to dry thoroughly before using the shower. Large cracks require a more thorough cleaning of loose material to provide a good surface to hold the repair compound. Dig out loose bits of drywall and dust. Apply the compound, pushing it well into the cracked surface to remove air pockets and form a solid repair. Level the compound with a scraping tool and allow it to dry overnight. Sand the area level; then, apply drywall tape to the crack and cover the area with a final layer of drywall compound. Sand with 150-grit sandpaper and apply primer. Allow the primer to dry thoroughly, and apply the topcoat of paint. Opening the window after showering or bathing can help to vent some of the moisture buildup in the bathroom. If your bathroom doesn't have a window, install a fan that vents to an outside wall. It's also helpful to leave bathroom doors open after using the shower or bathtub to allow fresh air in and moist air out.